There are lots of quality binoculars for different purposes. In this Vortex Viper HD 10×42 review, we take a look at every aspect of a brilliant binocular with amazing features that has got so many professionals and customers talking. This binocular is versatile and an ideal choice for birdwatchers, hikers, hunters, and anyone who appreciates spectacular views through the lenses of a binocular. Let’s give you a rundown of some special features the device offers. 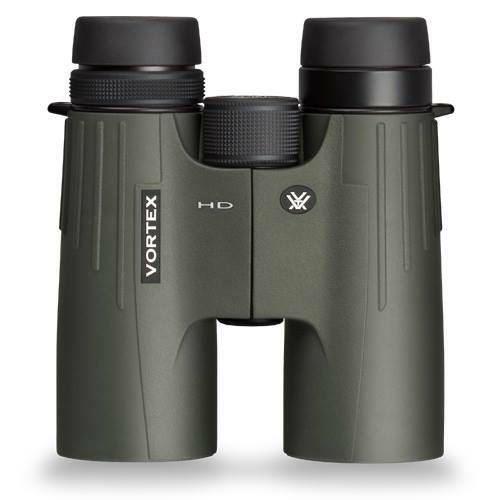 The Vortex Viper HD 10×42 binocular comes equipped with extra low dispersion glass (ED) which controls chromatic aberrations to provide brighter images. 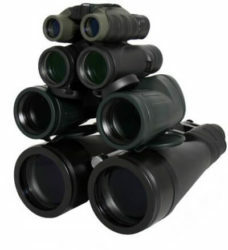 ED glass is expensive to manufacture and is usually reflected in the price of the binoculars. The Vortex 10×42 also has added coatings on the glass that ensures low dispersion of color and therefore produces a good contrast of the image of interest. The lenses are equipped with anti-reflective coatings that allow these binoculars to provide clear images in low lighting. The eye relief of the Vortex Viper HD 10×42 is set at 20 mm which would suffice even for users who need to wear glasses. The eyecups are lined with a non-bulky rubber making these binoculars comfortable during use. The Vortex Viper also has adjustable sockets that lock allowing the user to set their eye relief preferences for future use without needing to re-adjust. The diopter ring works hand in hand with the eye relief component of the vortex viper 10×42. Like the eye relief, the diopter ring locks in the preferred adjustment. 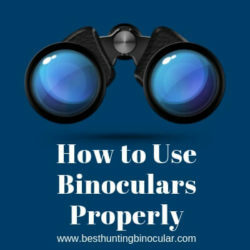 It means that the binoculars can frequently be used without having to adjust your settings with each time. The lenses can also be adjusted as required by individual users. The viper HD 10×42 roof prism binocular is both waterproof, and fog proof is making them an asset in extreme weather conditions. The lenses are filled with Argon gas ensuring that condensation will not occur in any situation leaving the lenses always clear to view the image of interest. The lenses have also been sealed with rings that prevent moisture from entering. 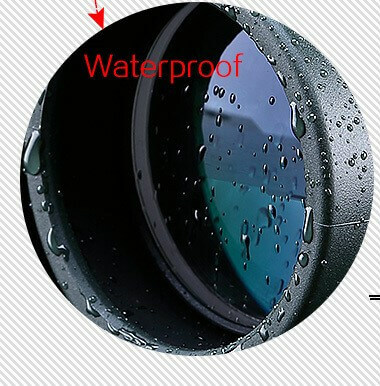 The lenses themselves have been coated with a substance that repels water making them waterproof. There is an added assurance, because of the sealant, that foreign particles or even dust will be kept away from the lenses as well. Should the Vortex Viper HD 10×42 ever get dirty, they can be easily cleaned with the assurance that there will be no leftover smudge or streaks on the lenses, as is the case with regular glass. Vortex optics viper HD 10×42 is small and lightweight making it very easy to carry around. It also hooks onto a neck strap, included in the purchase, allowing it to be carried against the chest and around the neck. The Vortex Viper HD 10X42 binoculars have a field of view of 319 feet which is an average expectation with 10×42 binoculars. The lenses are high density and coated to allow the Vortex Viper to control excessive light such as on a very sunny day or if the image is illuminated by bright light. This is an advantage because extreme lighting causes reflection and can induce blurred images. The Vortex 10×42 is made of high-quality materials making it a fierce competitor to its counterparts. It comes equipped with ED glass and a rubber coated body that keeps it intact in case of falls or run-ins with nature such as thorns, mud, and rocks. 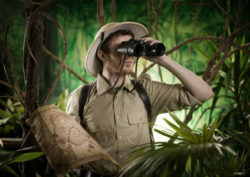 The rubber also ensures a non-slippery grip and adds to the durability of the binocular. Also, the purchase of these binoculars comes with a manufacturer’s warranty that offers to repair or replace the Vortex when needed. The Vortex Optics Viper HD 10×42 comes with a carrying case, a neck strap, a lens cloth, rain and lens cover. The carrying case is padded and can be attached to a belt using the loops attached to its back. It also has a small pocket inside it. The neck strap is wide, padded and has connectors that allow the binoculars to be attached to it enabling them to hang on well on the chest. The rain and lens cover is made of soft rubber that fits comfortably and stays in place ensuring that they don’t easily fall off during use. A users’ manual is also included with the purchase outlining the best way to use the Vortex. Just in case you are stuck between choosing one of the two powerful binoculars from two of the most renowned manufacturers above, worry no more, you’ve got us to offer you help. If you’ve done any bit of research about the two devices, then you know the Nikon Monarch 7 binocular costs slightly more than its Vortex Viper HD counterpart. They are both water and fog proof though the Nikon Monarch comes with a nitrogen purging while the Viper relies on Argon. They both utilize roof prisms and ED glass to offer users excellent views and also feature O-ring seals. 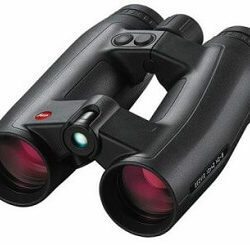 These binoculars are amazing and have impressive best price/performance ratios. Hence, choosing between the two might boil down to your intended application. The Monarch is more popular for bird watching while the Vortex Viper HD device is great for hunting. However, both are used for these two applications and several others; and the general feedback has been good so far. 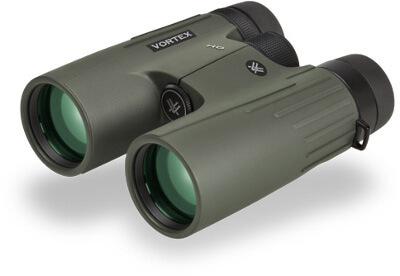 The obvious difference between these two Vortex Viper HD binoculars is the specification. 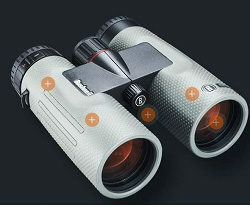 While one comes with objectives with diameters of 42mm, the other incorporates 50mm objectives; though both binoculars offer 10x magnification powers. This difference is reflected in their respective sizes and light gathering ability. The 10×50 binocular is slightly heavier and less compact than the 10×42 binocular. The former also has a slightly higher light gathering ability. Make no mistake, the Vortex HD 10×42 binocular by no means underperforms in these areas. Its price is a little lower than its big brother but it’s more compact and easier to take with you on your travels. For applications that require use in low light, perhaps the 10×50 model is preferable otherwise the 10×42 binoculars are great. The vortex viper 10×42 offers a range of features at an affordable price. They are lightweight therefore easy to transport and carry, the accessories have added comfort features such as padding on the neck strap and loops to hook the binoculars on. The ability to lock in your preferences on the diopter rings is an excellent added touch. There is hardly anything thing to complain about the quality and performance of the optical and non-optical aspects of this binocular. They’ve earned lots of praise and made a good name for themselves on several reviews which is well deserved. Although the eye relief of 16.5 mm is above the minimum 15 mm required for smooth viewing by eyeglass wears, the binocular would have been even better with the 20mm eye relief offered by the Vortex Viper HD 8×42 model. The binoculars are slightly heavier than other similar devices and the lens covers don’t always fit perfectly. The Vortex Viper HD 10×42 would do well in most outdoor activities. The Viper quality optics, field of view and ability to produce quality images in low light makes the Vortex Viper HD 10×42 binocular ideal for bird or wildlife watching. The anti-reflective coating on the lenses would be suitable for users’ viewing images on reflective surfaces such as a lake. It is also small enough to be carried on safaris or camping expeditions especially because of the well thought out mechanical and durable build. In addition to the binocular, when you order for a vortex viper 10×42 binoculars for sale, you get a soft and well-padded carrying case made of nylon, a comfortable neck strap, objective lens covers, and a rain guard. The Vortex Razor HD 10×42 binocular is one you should consider adding to your pack. It’s got all the awesome features discussed above and also has a fully transferable lifetime warranty backing its quality. 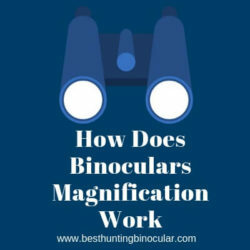 You will be reminded of how a binocular should feel and perform once you hold it in front of your eye for the first time. The binocular holds up well in comparison with other similar devices and the price is just as good as it gets. Upgrade your binocular with our Vortex Viper HD 10×42 review.